Lambing survival rates have barely increased over the last 40 years but the latest research seeks to change this. The number of lambs reared per ewe is one of the most important influences on the profitability of sheep flocks as the cost of lambing losses is high. Yet lamb survivability remains stubbornly around the 80 per cent mark, with little noticeable improvement over the last four decades. There are many factors affecting lamb survival, not least environmental causes of lamb deaths which are significant, varying from year-to-year. Genetics also have a part to play, because although heritability of traits relating to lamb survival is relatively low, estimated at between 5 and 9 per cent, lamb survival shows high levels of variation and the potential for genetic gain is a function of both. This is according to Dr Mark Young, head of innovation at the Centre of Innovation and Excellence in Livestock (CIEL) who has observed the causes and importance of lamb survival in the UK and New Zealand (NZ). Dr Young believes although there are challenges when selecting for lamb survival traits, there are gains to be made for the industry. “It is hard to see genetic traits because all the animals you are selecting are alive. It is important to look at entire families and greater emphasis should be placed on the survival of close relatives when seeking to select animals producing offspring with higher survival rates,” Dr Young explains. A programme in NZ set out to select for improved lamb survival by measuring the number of lambs born, the number of lambs surviving and the weaning weight of the lambs produced. The programme achieved a litter size increase of 13 per cent in 15 years and a survival increase of about 1 per cent in 15 years. Dr Young points to the differences between approaches to lambing in the UK and NZ which could affect genetic progress. Dr Young acknowledges there are a range of non-genetic factors which are responsible for lambing losses, many of which are environmental. 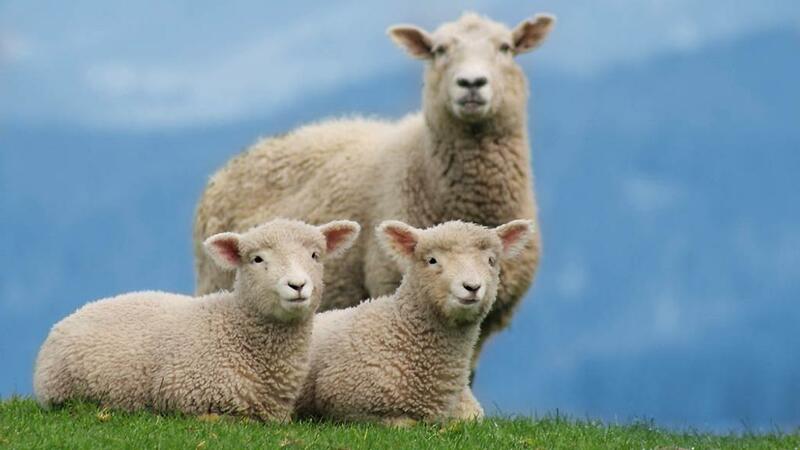 “The effect of last year’s pregnancy can affect a ewe’s condition in the following year by depleting her reserves but this is not due to a genetic effect. Similarly, disease does not strike uniformly. "Ewe behaviour may increase the risks to the lamb, but some farmers in NZ would consider this a reason not to breed from her in the future,” Dr Young explains. Understanding the principles of genetic selection and recording lambing losses are the first steps towards achieving genetic gains, according to Dr Young. Knowing the parentage of the lambs is necessary when recording and can be done by observation or increasingly by DNA testing, although Dr Young points out only 7 per cent of larger flocks in the UK are using this technology. For farmers who record, expecting to see rapid genetic improvement will inevitably lead to disappointment, according to Dr Young. “I would urge farmers looking to select for improved survival not to become preoccupied with trying to prove it in their own flocks. It is difficult to show any short-term gains or to see the trends easily except in larger flocks. Sam Boon, animal breeding senior manager with Signet, agrees and says recording and comprehensive datasets have been instrumental in the development of estimated breed values (EBVs) for lamb survival. “We now have lamb survival EBVs published for two breeds, the Lleyn and Scottish Blackface and ram buyers can find the information on the internet and select for these traits,” Mr Boon says. Mr Boon is hoping to expand the availability of the lamb survival EBV to other breeds but explains there are some limitations to accomplishing this.